KETCHIKAN, Alaska (AP) — One of the U.S. Navy’s newest class of warships docked at an Alaska port for a rare visit as the military looks to conduct more exercises in the Arctic. 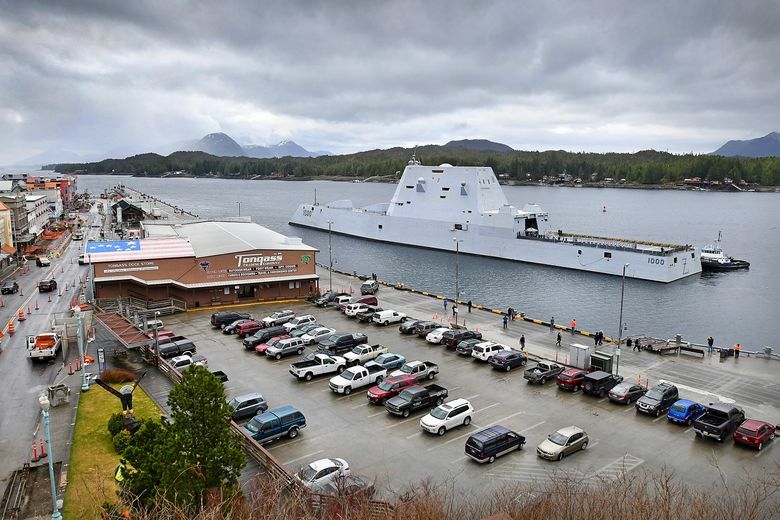 The USS Zumwalt, a 610-footlong guided missile destroyer launched in October 2013 and based in San Diego, docked in Ketchikan on Saturday for a weekend stay, the Juneau Empire reported . Steve Corporon, Ketchikan’s port and harbors director, said bigger fenders were needed to make sure the ship would fit without damaging the vessel or the dock. Navy Commander Brandon Raile said the last Navy visit to Ketchikan was the USS Ogden in 2005, and Arctic strategy played a role in this the current stop. The ship left for undisclosed locations after departing Ketchikan, Raile said.